To contribute or not to contribute to your 401(k), and if so, how much? That’s a common question as many are torn between how much of their income should go to 401(k)s, other retirement investment vehicles or financial goals, like debt-payoff or college savings funds. So, what’s the golden rule for 401(k) contributions? 1.1 Step 1: Contribute up to the employer match. 1.2 Step 2: Open and contribute the maximum to a Roth IRA. 1.3 Step 3: Return to your 401(k) and contribute up to the annual limit. 1.4 Step 4: Open a self-directed IRA or non-retirement account. 2.1 Do you have an effective budgeting system? 2.2 How much is in your emergency fund? 2.3 How much debt do you have? 2.4 What expenses do you anticipate during retirement? Sorry to break it to you, but there’s no concrete rule spelling out exactly what percentage of your income you should contribute to your 401(k). It really just depends on your current financial status and long-term goals. Generally speaking, here’s how you should handle 401(k) contributions, along with other retirement investment vehicles in your arsenal. Step 1: Contribute up to the employer match. Let’s say your employer is offering a 3% match on 401(k) contributions. If you only contribute 1%, you’re leaving free money on the table, to the tune of a whopping 2%. A better option: focus on capitalizing on this benefit, even if your funds are tight. Step 2: Open and contribute the maximum to a Roth IRA. Assuming you still have money left on the table after you’ve met the employer match, the next step is the Roth IRA. It offers a cushy tax incentive that you won’t get with the 401(k) or any other IRA product. Since contributions are made with post-tax dollars, you’ll be able to take tax-free distributions at retirement. In other words, you won’t owe Uncle Sam a dime in income tax when you’re ready to start drawing from your Roth IRA. Quick note: Only move on to this step if your emergency cushion is fully funded. Otherwise, use what’s remaining from your disposable income to meet this goal, and then return to this step. (More on that shortly). Step 3: Return to your 401(k) and contribute up to the annual limit. Once you’ve taken care of meeting the employer match and maxing out your Roth IRA, it’s time to return to where you started, or with the 401(k). Why so? Well, if you’re employed with a larger company, you may be able to enjoy lower administrative fees than what you’d get with a traditional IRA. But since you’ll have limited investment options, you may be more inclined to contribute to a traditional IRA or non-retirement investment, instead. Step 4: Open a self-directed IRA or non-retirement account. Next up are self-directed IRAs. There’s an annual limit of $5,500 ($6,500 if you’re 50 years of age or older) to be mindful of. (Keep in mind that this amount also includes any contributions made to your Roth IRA). Or you can consider researching other investment options that may be available to you at this point. Of course, the more, the merrier when it comes to saving for retirement. Some retirement gurus recommend saving at least 20 percent while others suggest 30 percent as the minimum threshold. But if you’re strapped for cash, save what you can to allow the power of compounding interest to work in your favor. Do you have an effective budgeting system? If you’re struggling to follow your budget, it’s time to make some tweaks and get serious about your future. 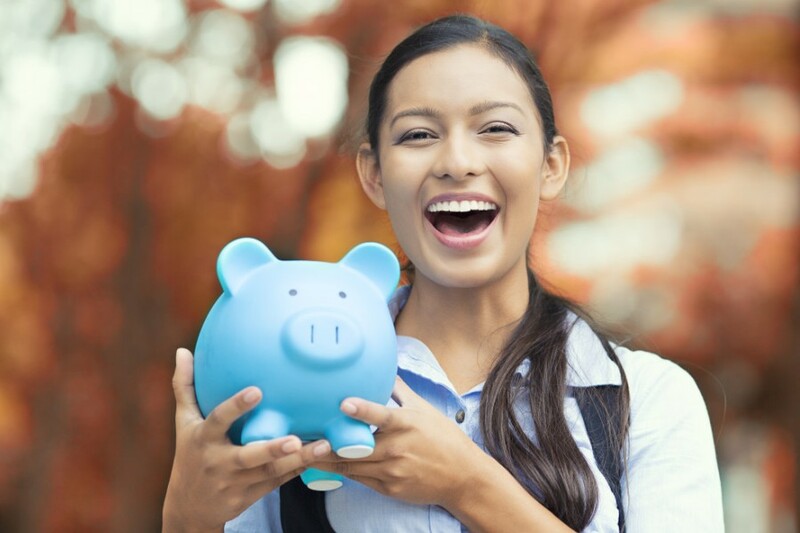 By eliminating frivolous spending, you’ll free up funds to contribute even more to your nest egg, whether it be your 401(k), Roth IRA, or a self-directed IRA. retirement savings, if you don’t have a hefty emergency. Why so? If you are faced with a financial emergency, you could find yourself taking on massive amounts of debt. And depending on how far out you are from retirement, you could find yourself making payments well into your golden years. So, it’s in your best interest to max out contributions to the employer match, then work on beefing up your emergency fund before moving on. Are you drowning in credit card or student loan debt? These have the potential to take a toll on your finances if the interest rates are through the roof. As a result, you should still max out your employer match but work on eliminating debt so that it doesn’t follow you into retirement. What expenses do you anticipate during retirement? Will you have enough in your nest egg to comfortably retire? This is an important question you’ll need to ask yourself, along with figuring out how much more health care will cost you. Another factor you must consider is the current state of the Social Security Medicare Trust funds. Both are expected to be depleted by 2034 and 2026, respectively, notes The New York Times. So, it may not be wise to bank on this option if you’re not close to retirement. Quick note: you can use a retirement calculator to get an idea of where you stand. While the figures aren’t definitive, they will give you an idea of how close or far off you are from meeting your retirement savings goals. Not a fan of the way your current contributions are set up? Make it a priority to schedule a meeting with your plan administrator. You can also meet with a reputable financial advisor if you’re interested in pursuing other investment opportunities, a Roth IRA or self-directed IRA. Figuring out how much to contribute to your 401(k) can be challenging. But by planning ahead, you’ll be well on your way to financial freedom in your golden years.